TORONTO--(BUSINESS WIRE)--Canada rose two spots to No. 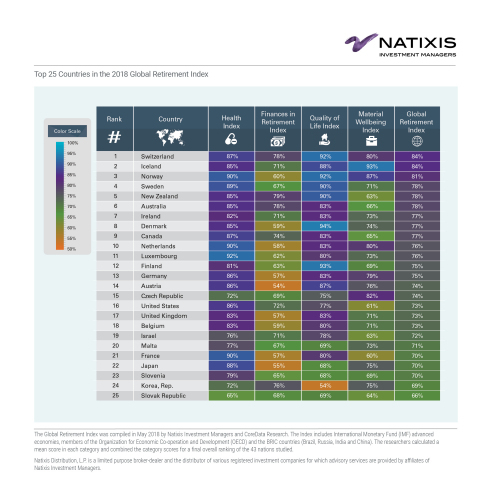 9 among 43 countries in the 2018 Global Retirement Index, released today by Natixis Investment Managers. The modest rise in Canada’s ranking is attributed to improving economic conditions and environmental factors. However, 10 years after the global financial crisis, Natixis points to a confluence of factors – ultra-low interest rates, growing levels of public debt, aging populations and human longevity – as indicators for the ongoing sustainability of retirement systems in Canada and around the world. Strength of financial institutions: Canada continues to rank in the top 10 for Finances, largely due to improvements in non-performing bank loans, tax pressure, governance and rising interest rates, which improve saving levels and income in retirement. However, Canada regressed in government indebtedness and has a growing ratio of retirees to employment-age adults (old-age dependency), which puts increasing pressure on government resources over time. Environmental gains: Canada moved six places in Quality of Life from 15th last year to 9th this year on the back of better scores for air quality and environmental factors. Canada has the second-highest air quality and seventh-highest personal happiness scores in the entire GRI. Good health: Canada maintained its position in the top 10 for the Health category. The country scored 10th among all GRI countries for both health expenditure per capita and insured health expenditure, which measures the proportion of healthcare expenses covered by insurance. However, Canada recorded a slightly lower score for the life expectancy indicator compared to last year. Lower income per capita: Improvements in employment and income equality were offset by a decline in the income per capita indicator (level of income per person), lowering Canada’s ranking for the Material Wellbeing category to No. 22 from No. 20. 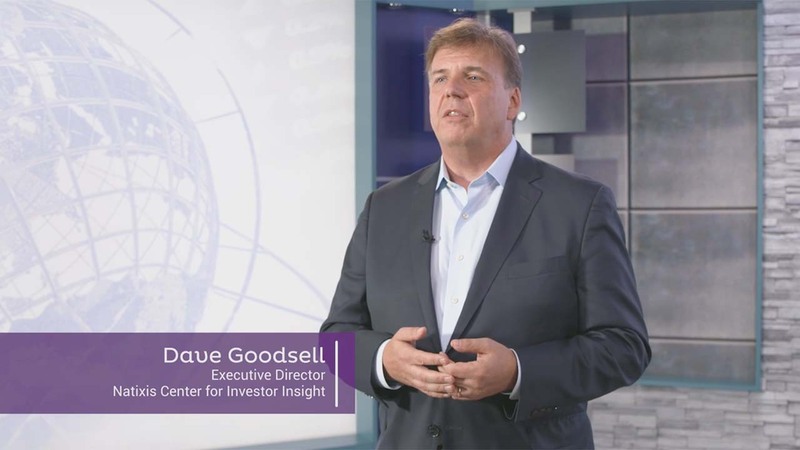 Natixis Investment Managers serves financial professionals with more insightful ways to construct portfolios. Powered by the expertise of 27 specialized investment managers globally, we apply Active ThinkingSM to deliver proactive solutions that help clients pursue better outcomes in all markets. Natixis ranks among the world’s largest asset management firms1 ($988.4 billion / €846.5 billion AUM2).